A lot has changed in the 20+ years I have spent in the Channel. New technologies, business models, communities, demographics, communication vehicles and customer behavior have created a whirlwind of change for vendors and distributors. The one constant is the complexity of managing hundreds of thousands of partners globally, each with their own unique set of business practices, target markets, customs and values. Channel Partners know that to be successful, they need to carve out a niche – whether that be geographically, technologically, vertically and/or business model. We come from the dreaded triangle methodology of segmentation. Largest partners by revenue on top, followed by some type of regional midmarket, then SMB transactional partners and finally the unwashed masses at the bottom of the triangle. Because of the uniqueness of each partner, this completely missed the point of segmentation. Trying to build programs, training, incentives and coverage for partners lumped together based on historic sales of your product was faulty logic. The ability to dig a little deeper with each partner and ask the right questions has produced some breakthrough wins for some vendors. That small managed services partner in the U.S. Northeast who sells to healthcare and specializes in security solutions looks very different than the box-pusher across the street. Building the right persona based segmentation plan will group like-minded partners around the country (and perhaps the globe) allowing the proper program mechanics to be developed. Above the obvious benefits of higher partner sales, satisfaction and loyalty with this type of focused approach, it is also a major cost savings for the vendor. Billions of dollars are wasted every year in programs that are not targeted and don’t drive behaviors. So the dreaded triangle has been replaced with a hodgepodge of personas – now what? It is somewhat of a herculean task to go back through your entire channel and start classifying partners in a new way. Not to mention the workload in revamping the PRM or CRM system to handle the new segmentation. The good news is that like-minded people tend to gravitate towards each other. Whether that is face to face in peer groups, digitally in forums or using social media, these communities are some of the best ways to define personas and actively build recruitment plans. 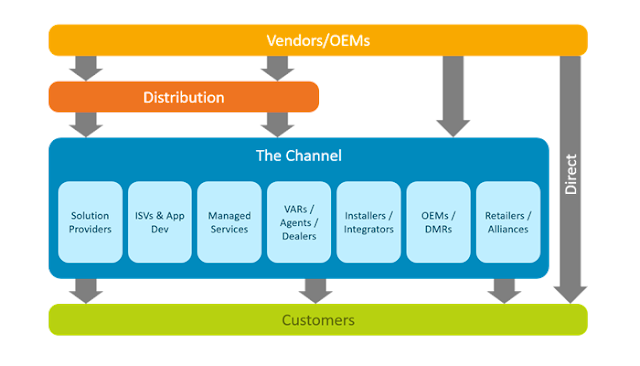 I wrote a blog about the size of the IT Channel. We know that executives at ultra-large partners such as CDW do not tend to hang out with Larry who runs a small storefront in the strip mall down the street. Larry hangs out with other people just like him. Behaviorally, what Larry reads, what events he attends, and who he follows says more about him than the average questionnaire could gather. Gartner Group conducted an interesting research piece where peer networking, associations and communities are the highest ranked ways that small and medium businesses learn, form opinions, and in the end, make decisions. IDC reported the same finding when they were digging into healthcare. In fact, 4 of the top 5 reported resources for Electronic Medical Record (EMR) selection criteria involve associations, affiliates, colleagues, and buying groups. With Google at our fingertips, why do partners choose communities? During this time of growing “electronic ubiquity”, the need for trusted and expert sources of information has increased significantly. The amount of competitive choices for products and services, combined with vast information on the internet and endless buzz through social media, has created a scenario where cutting through the “white noise” has become one of the most important skills. Malcolm Gladwell does a great job of explaining the concept of connectors in the Tipping Point. These are people that you would recognize, even dating back to grade school, that seem to be the center of the universe. Another way you can recognize connectors is in a place like Facebook. You seek out this person, and they are 1 degree of separation from everyone in your school, company, neighborhood, etc. In the business world, many connectors have translated this skill into organizing and building a strong following. They have also recognized that vendors will pay top dollar to participate in these already established communities. There is also a feeling by these connectors of altruism, or “giving back” to the industry or geography where they do business. You may think that connectors are the most extroverted and charismatic people, but in reality, not always. I recently wrote a blog about Paul Revere and the super-connector phenomenon. Several communities start as a result of a new technology or sub-industry. An example in the IT industry is Virtualization, Cloud Computing, Electronic Health Records or Managed Services. When the needs of a group are not being met by larger or non-related peer groups, new communities form organically from members as they branch out. There are about 16 major magazines in the IT Channel. This doesn’t include technology derivatives (Print, Point of Sale, Pro Audio/Video, etc. ), industry derivatives (healthcare, government, hospitality, retail, etc. ), geographic derivatives (UK, Canada, Australia, etc. ), and business model derivatives (managed services, cloud, mobility, iOT, etc.). The fastest growth of communities has occurred with the explosion of social media. Whether Twitter, Facebook, Linkedin, or the dozens of other purpose built community tools, the cost and complexity to start a community is approaching zero. Many connectors started as bloggers who have built a loyal and passionate following. 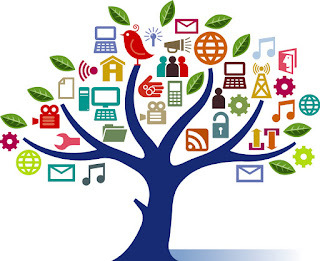 Many bloggers have evolved into connectors and community leaders. The fact is that some companies get it and some don’t. Several organizations now recognize the power of communities and have built organizations around persona/community marketing. It is becoming more common to hear the title Chief Community Officer in vendor organizations. In fact, I could drop a number of names of the super-connectors in the industry and they come from this fold. Organizing a community goes far beyond marketing and advertising however, with product development, pricing and programs all tightly connected. I wrote a blog about this new channel marketing phenomenon called Dandelions and Blowfish. Media savvy Executives who can keynote an event, tweet about it offstage, promote the message to the media gathered, and then write a blog about it later on is the new model for the future. Messaging that would have required triple-checking through legal a few years ago, needs to be just-in-time and delivered on a daily cadence. I have always followed the mantra “be visible everyday”. Finally, community members have very effective personal spam filters. Anything that doesn’t add value to the community will be rejected and have a negative result for the organization delivering. The old days of PowerPoints and product spec slides doesn’t cut it. Active selling into a community is an invitation to be ignored or kicked out. Why are communities important to your GTM strategy? What is the future of communities – and why now? Based on the data from analysts, combined with the relentless growth of information available across the internet and the behavioral habits of people, communities will keep growing. Exponentially growing, in fact. Specialization will continue to expand as well, driving more need for these groups and subgroups. There is an upper limit to the size of a community where the point of diminishing returns kicks in. The point at where coordination of the group and the generality of messaging outweigh the benefits listed above. Smart communities will organize sub-groups before the fringe members go off and launch a competing community. The permutations and combinations of geographic, technology, industry, line of business, solution and business model specializations is endless. Are you saying I should join thousands of communities? No. Without some level of focus, you would stretch your organization too thin and not add value anywhere. There are, however, about 30 different master communities around the world that will give you access to roughly 80% of the total partner population. As an IT Channel vendor, names such as CRN, CompTIA, Channel Partners, ASCII, Microsoft Partner Network, ChannelPro, Business Solutions Magazine, Vertical Systems Reseller, SMB Nation, ChannelE2E, ChannelInsider, SearchITChannel.com, Redmond Channel Partner Magazine, VAR Guy, MSPMentor, HTG, Connectwise IT Nation, Autotask Community Live, Microscope UK, ITEuropa, MSP Alliance, Channelnomics, Computer Dealer News, eWeek, ITWorld, Infocomm, ChannelNext, ITExpo, ITEX, Interop, Channel Visionaries, Channel Focus and Channelline should all be in your vetting process. Go to Market strategies by vendors need to be highly-nuanced. New technologies, business models, communities, demographics, communication vehicles and customer behavior have driven the need for new thinking around partner relationships. Engaging on a personal one-to-one level with partners is more important than ever, understanding that their business practices, target markets, customs and values are different. The majority of channel partners know how to be successful or they would not have survived the 2008 economic meltdown. Vendors need to enable them to carve out their niche with the right mix of education, support, incentive and community support.